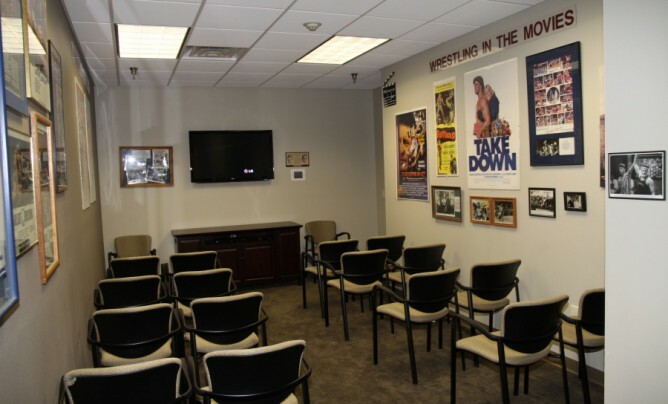 Visitors can sit and relax in the Arno P. Niemand Theater and watch a fascinating 40-minute film on the life and career of Dan Gable, produced by ESPN for Sports Century. Did you know that Kirk Douglas, one of the biggest movies stars of all time, was a wrestler in college and that Tom Cruise, the No. 1 star of the last decade, wrestled in high school? You will see movie posters from such films as “Vision Quest” and “Takedown,” as well as other interesting movie items.